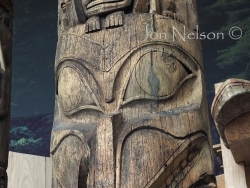 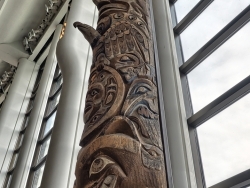 Posted September 26, 2016 in Buildings, Monuments and Miscellaneous Items. 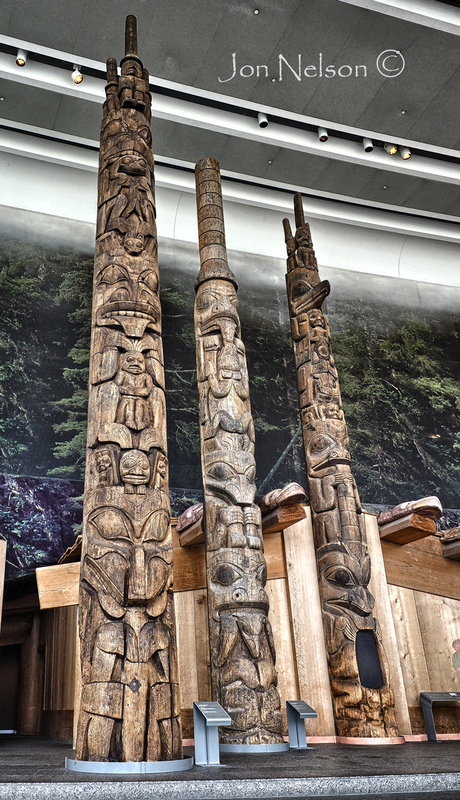 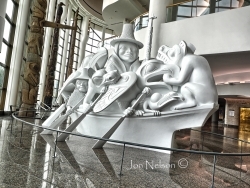 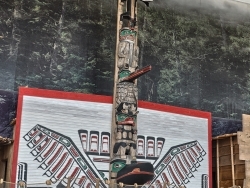 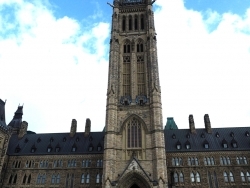 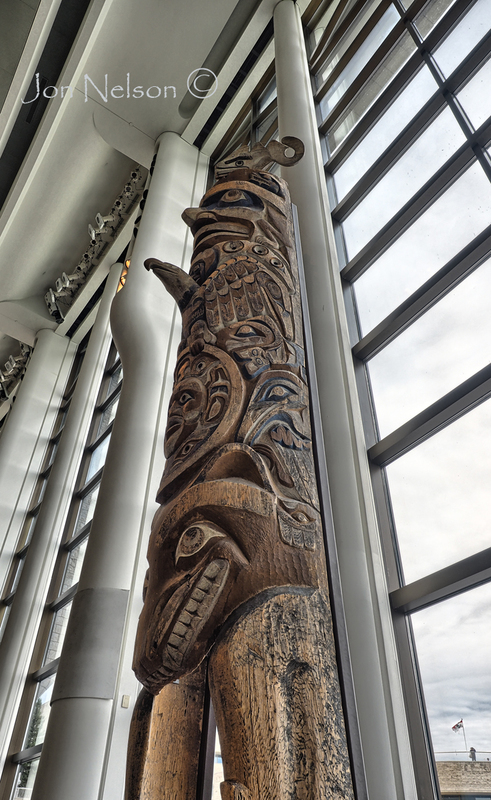 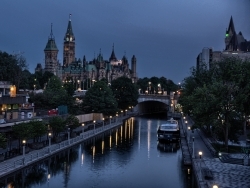 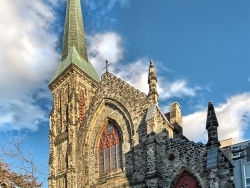 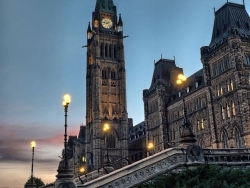 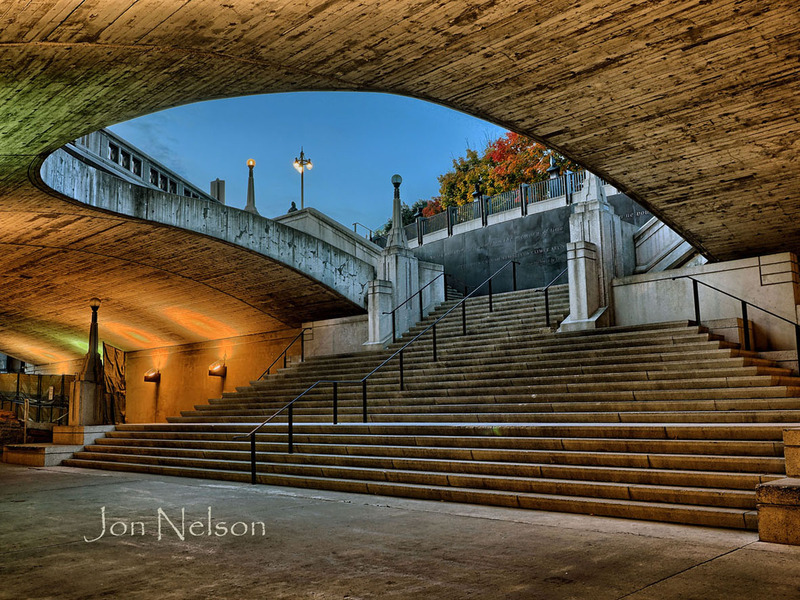 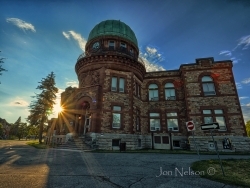 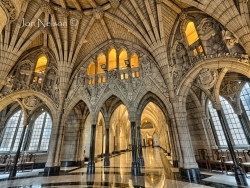 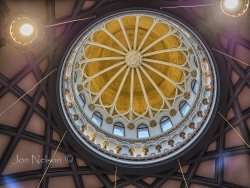 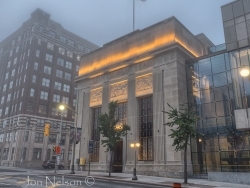 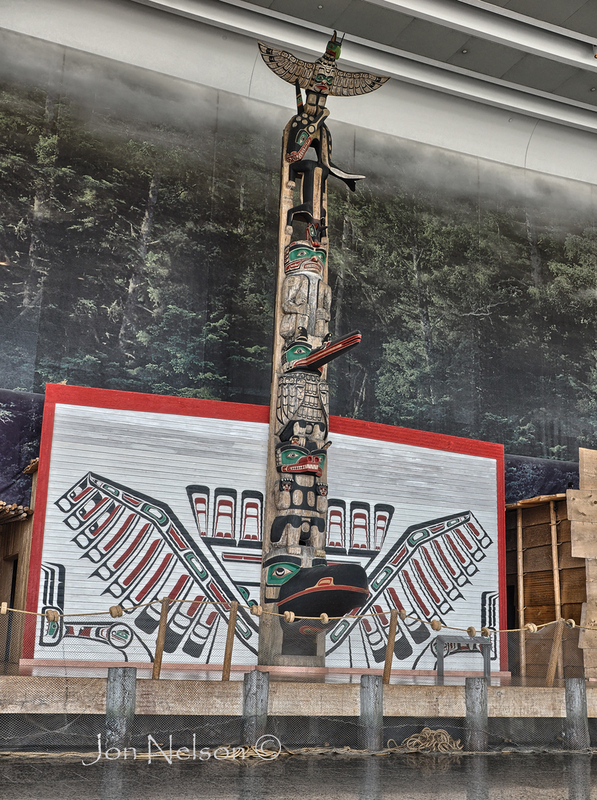 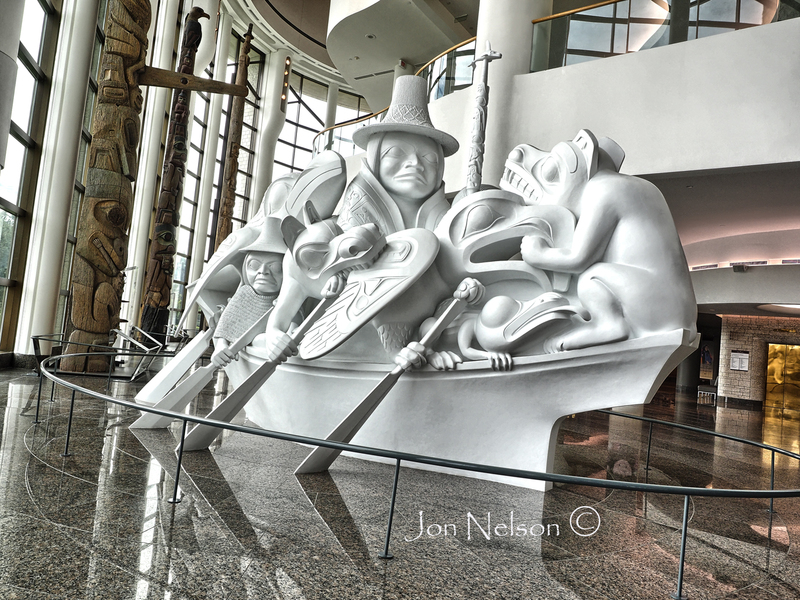 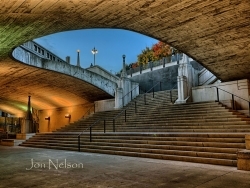 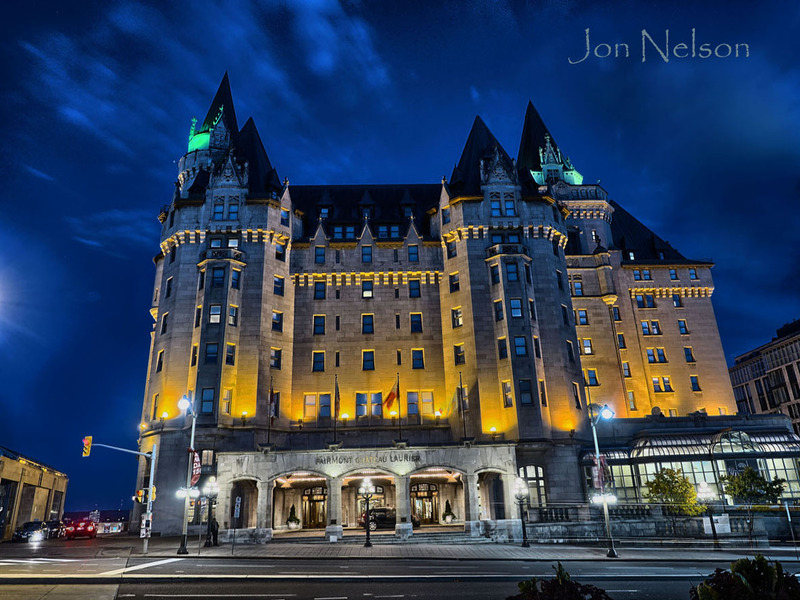 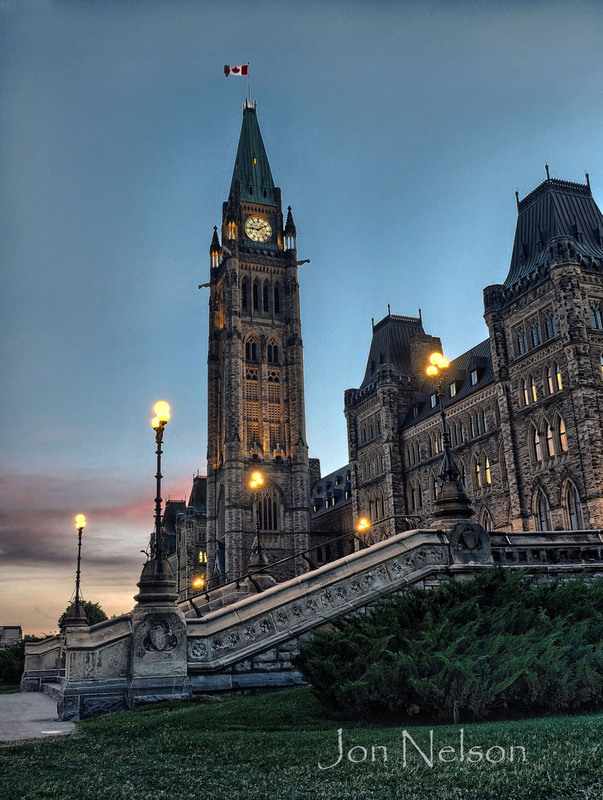 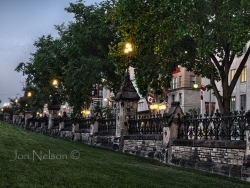 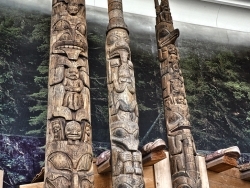 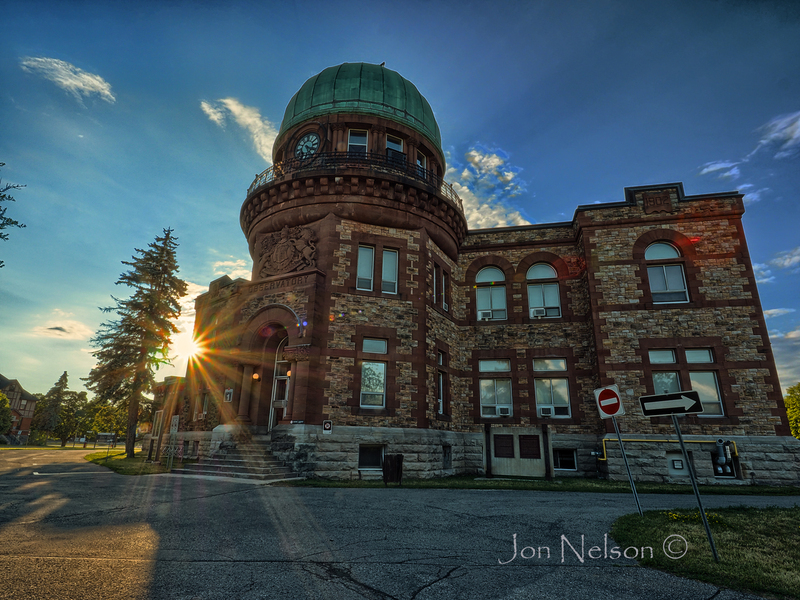 Ottawa is the capitol of Canada so it, along with Gatineau and Hull on the Quebec side of the river, is loaded with museums, galleries and parks. 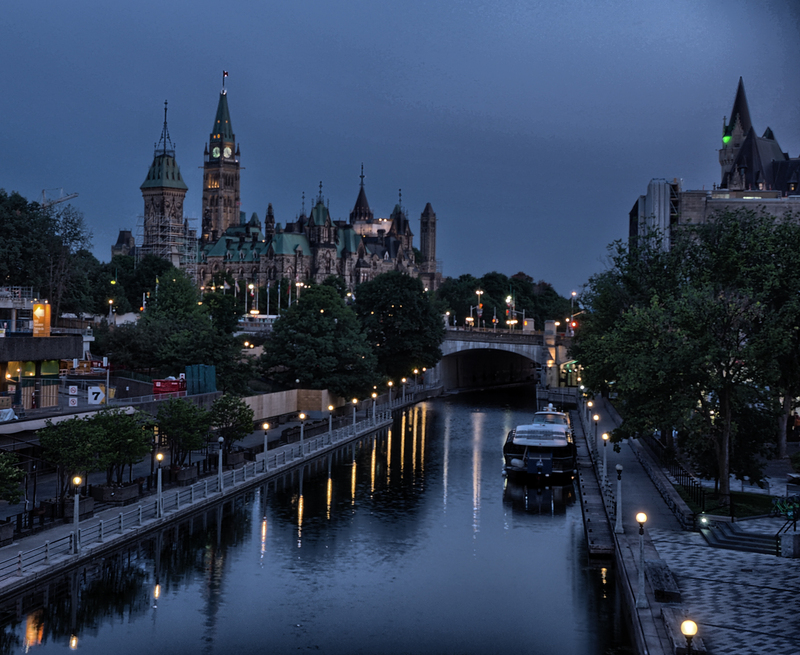 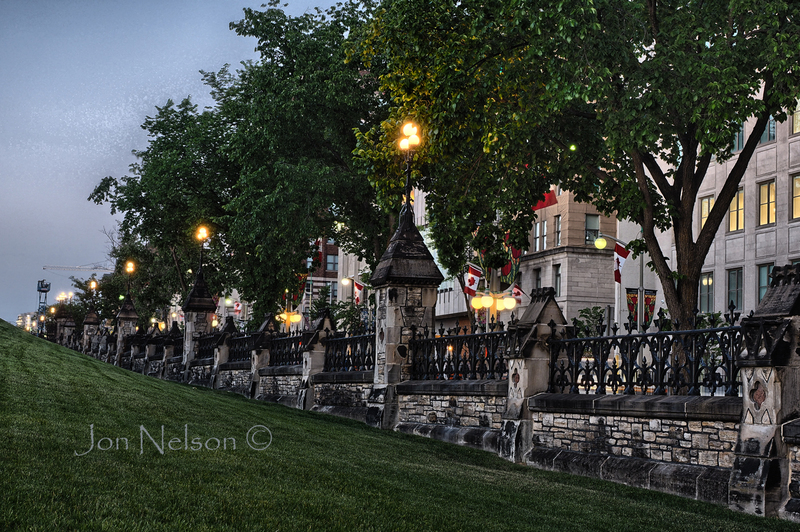 I wasn’t in Ottawa long enough to have images that show a complete coverage of the city. 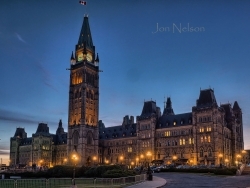 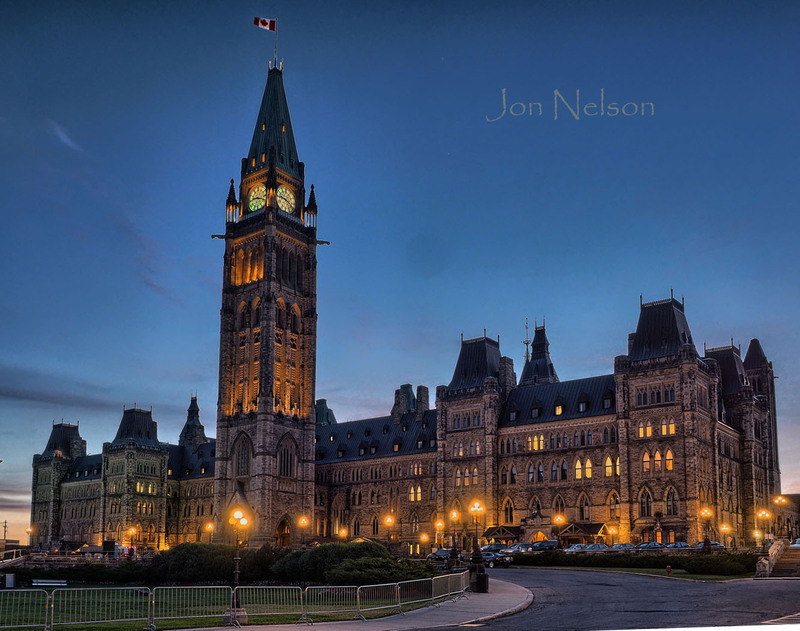 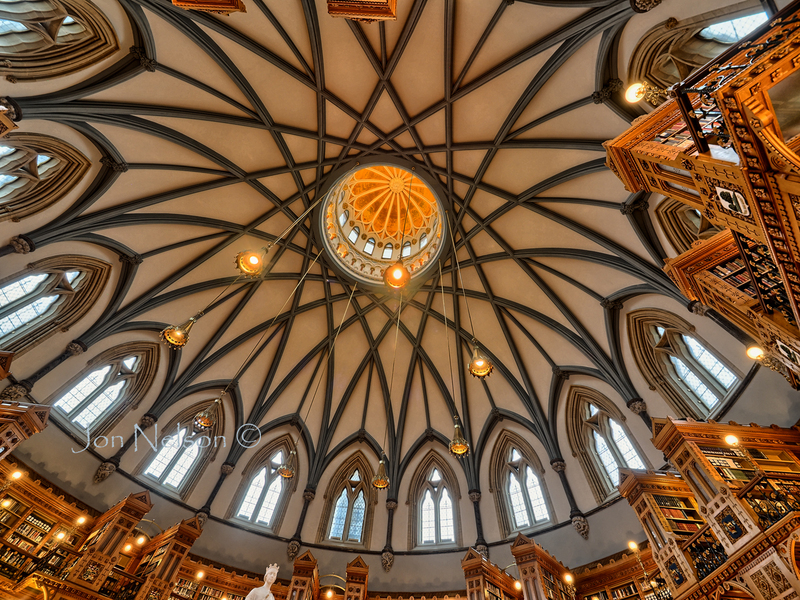 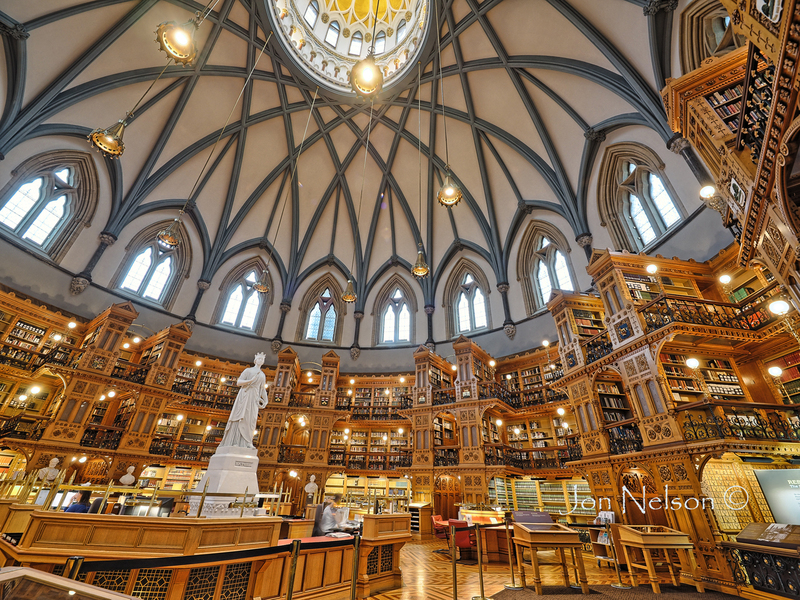 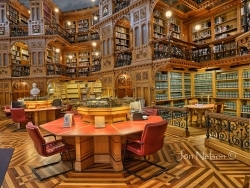 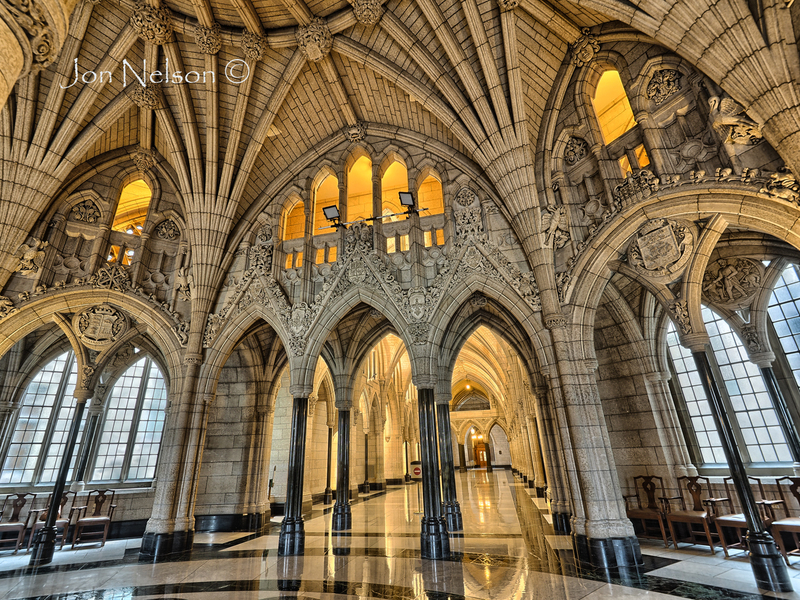 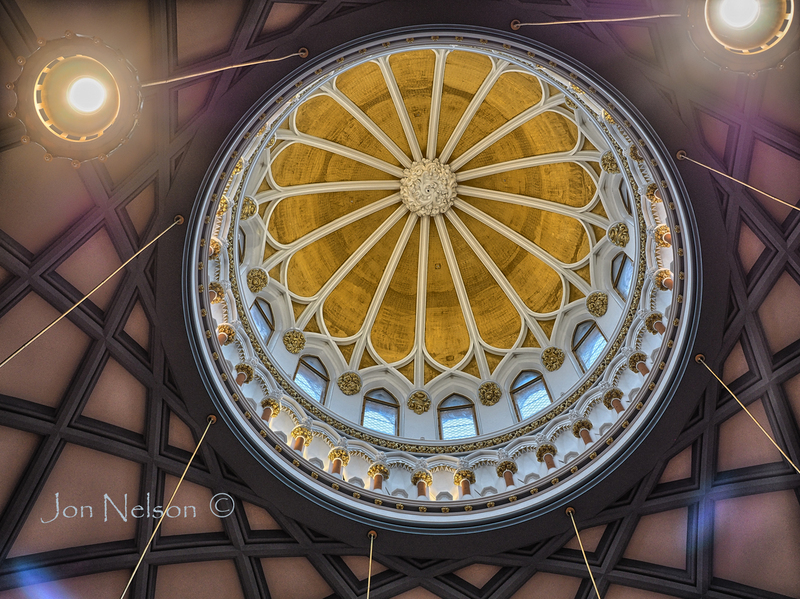 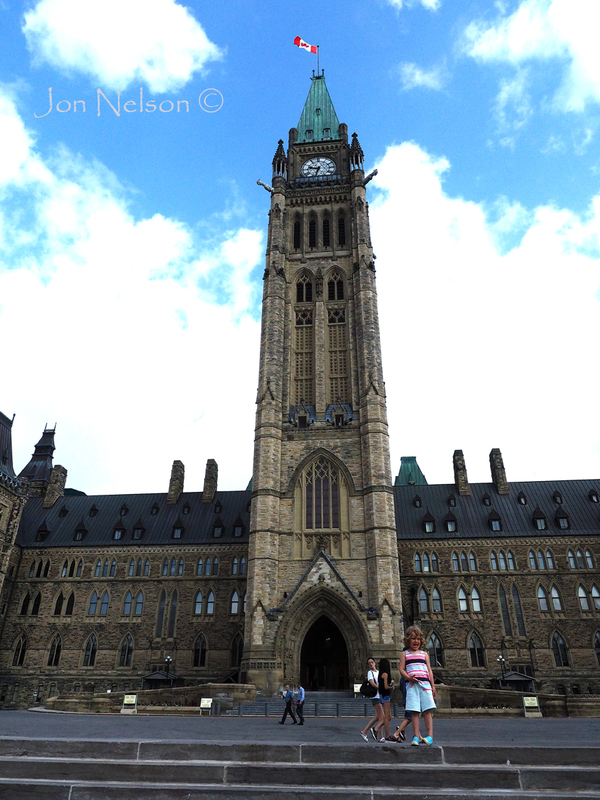 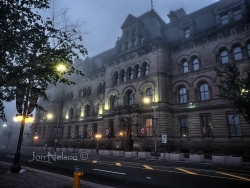 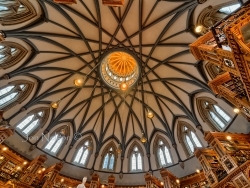 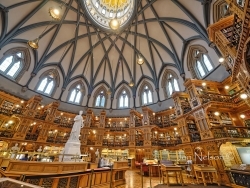 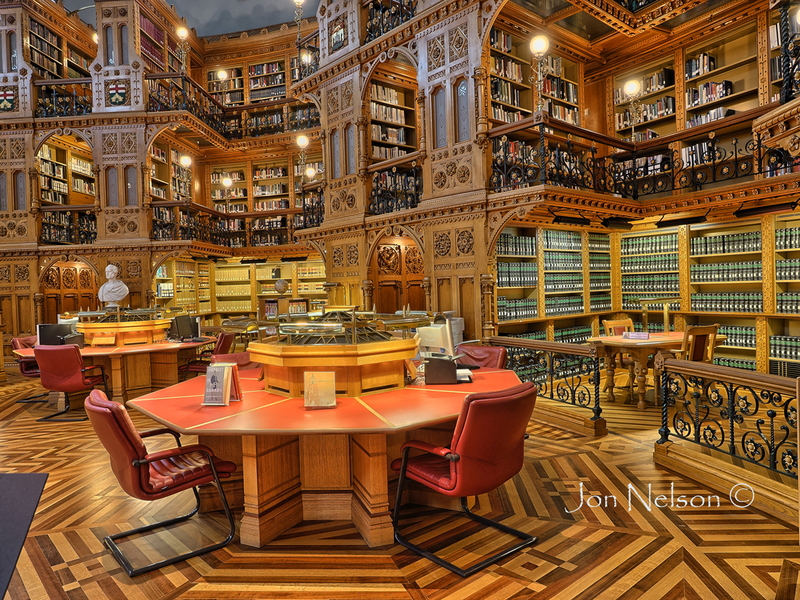 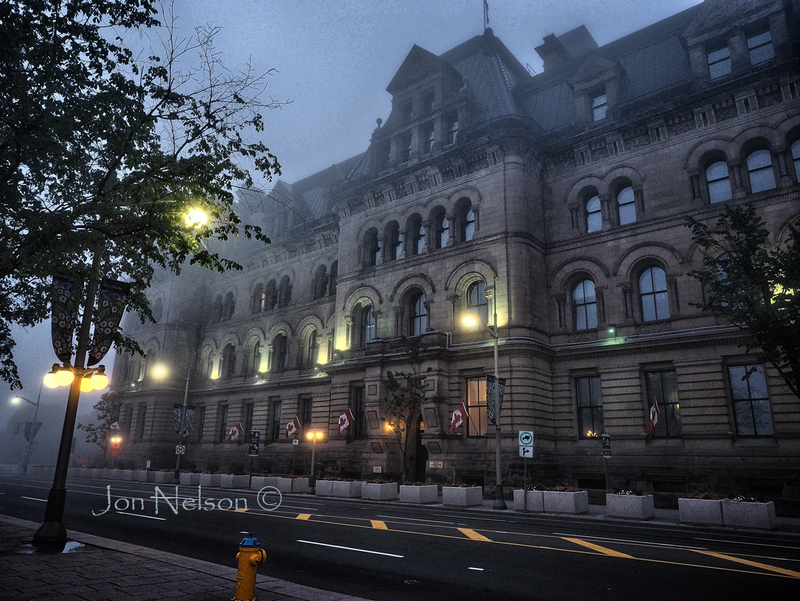 I primarily took photos a tourist would take, including quite a few images of the Parliament Library. 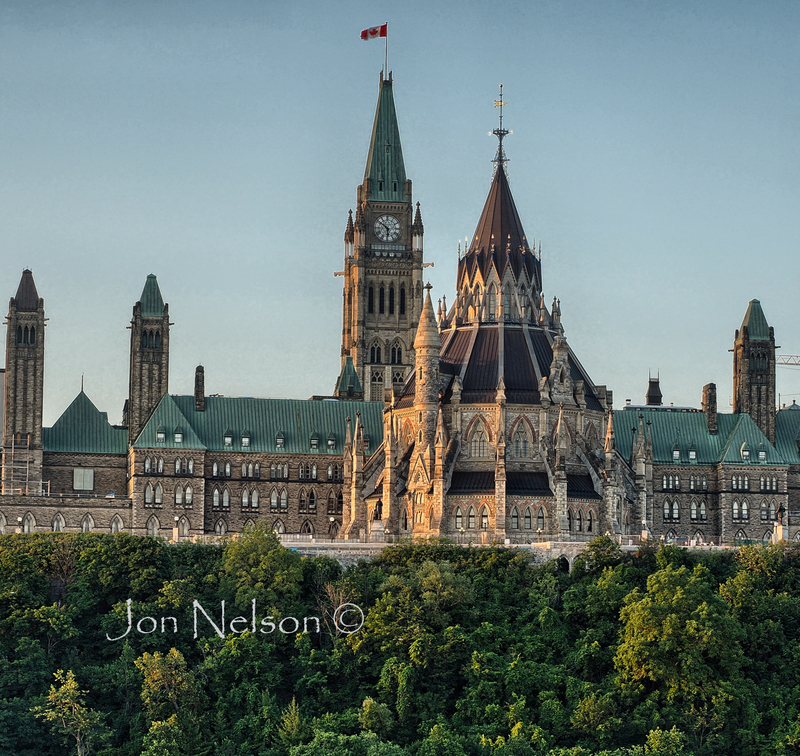 This magnificent structure, my favourite building in Ottawa, was the only thing saved when the Centre Block burned in 1916. 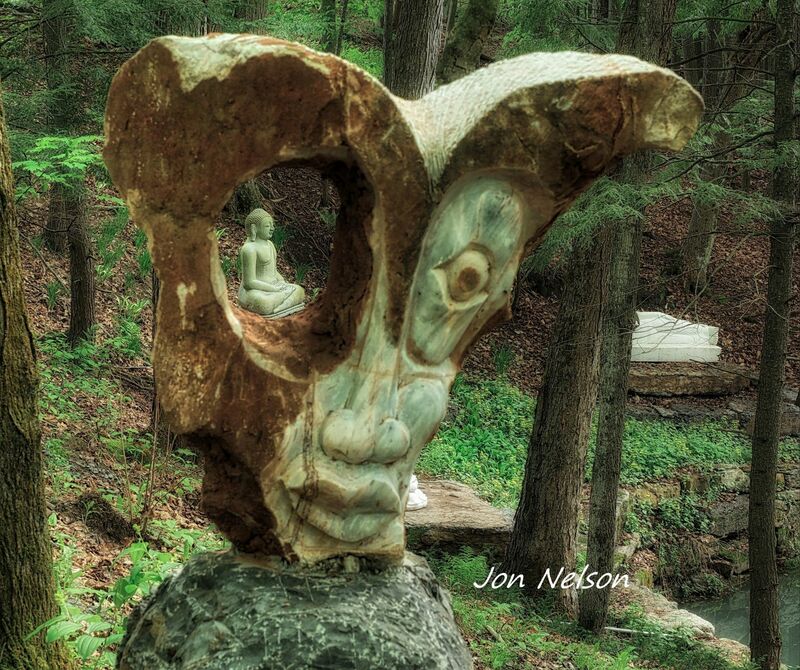 The 'Thinking' sculpture seems to be serenely composing her thoughts. 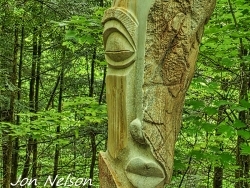 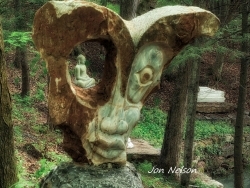 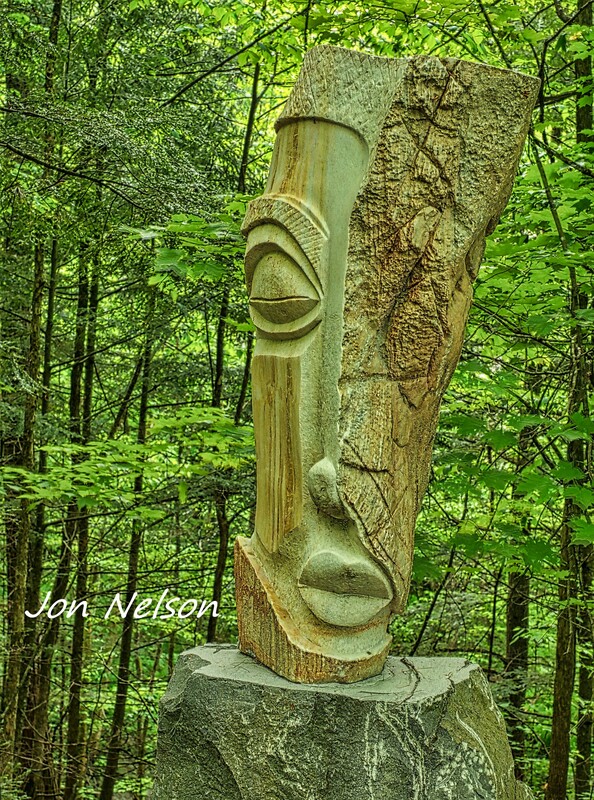 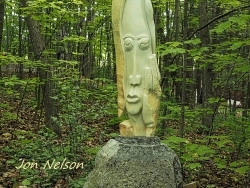 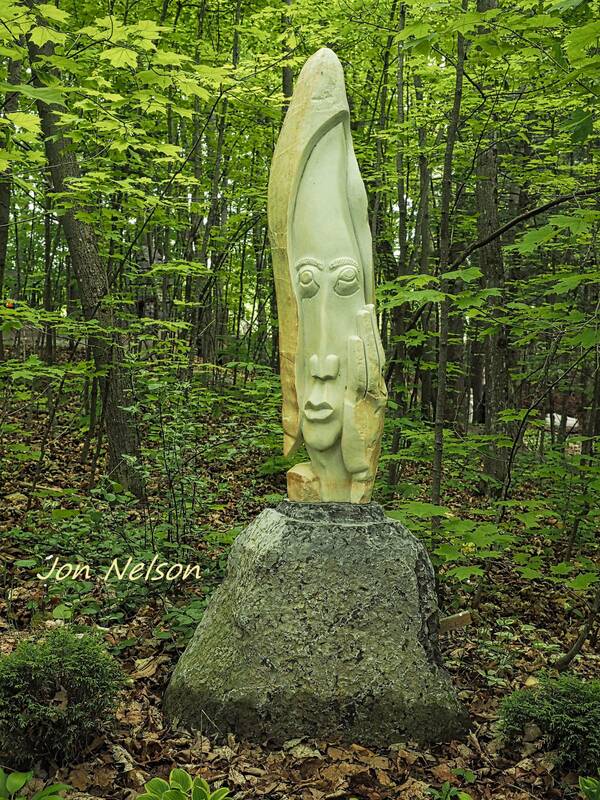 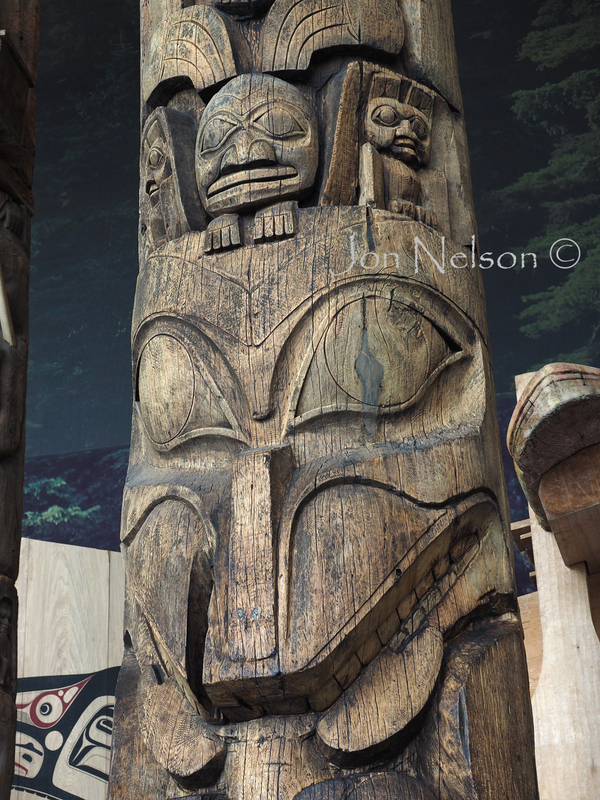 This sculpture stands near one end of the Humanics Sanctuary and Sculpture Park. 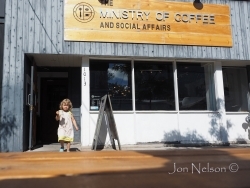 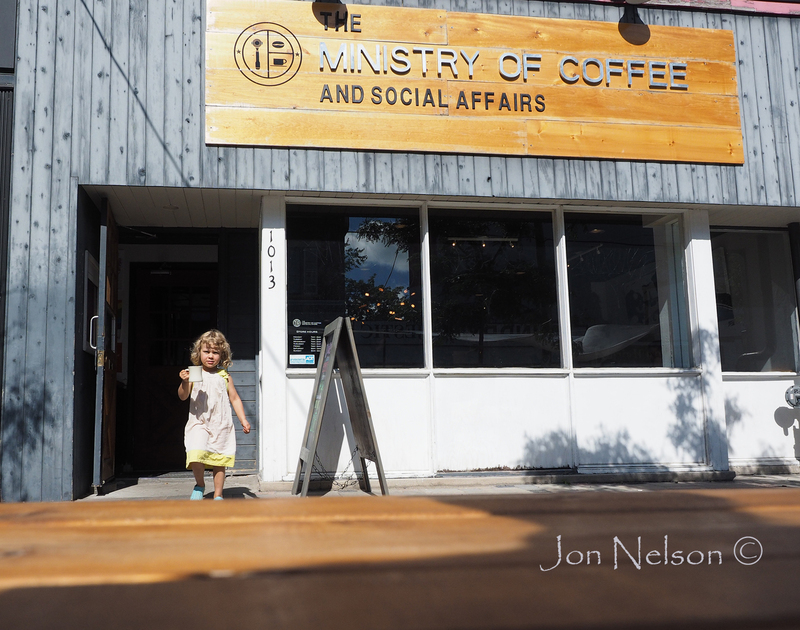 Although the Ministry of Coffee and Social Affairs is located on Wellington Street it would be a long walk for members of Parliament. 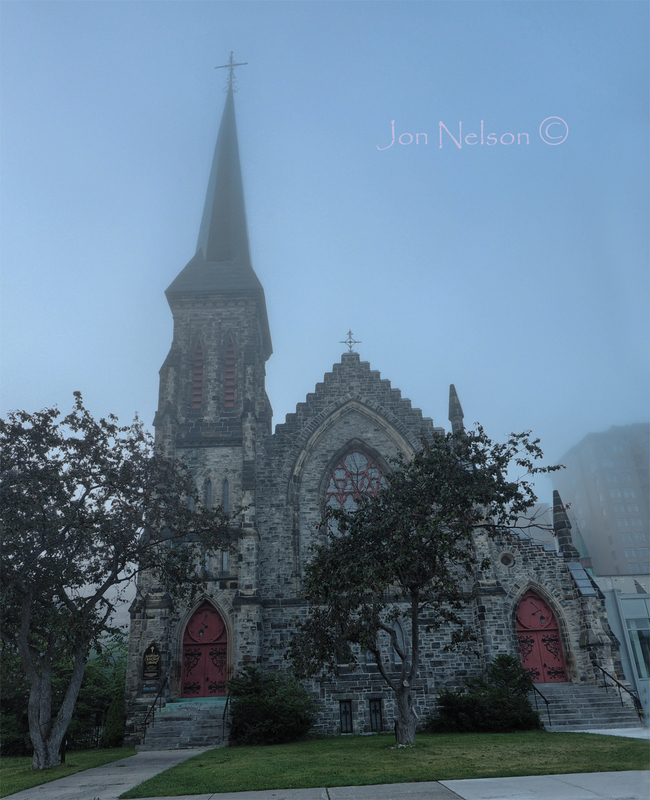 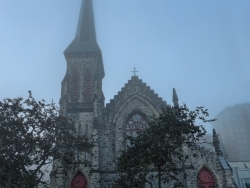 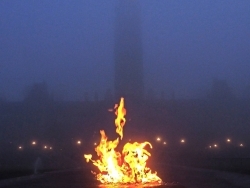 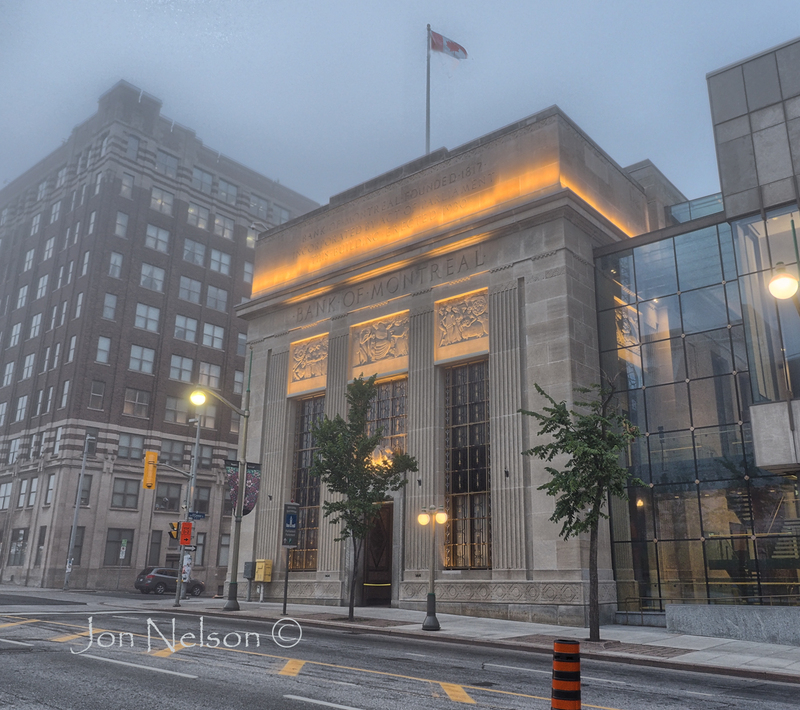 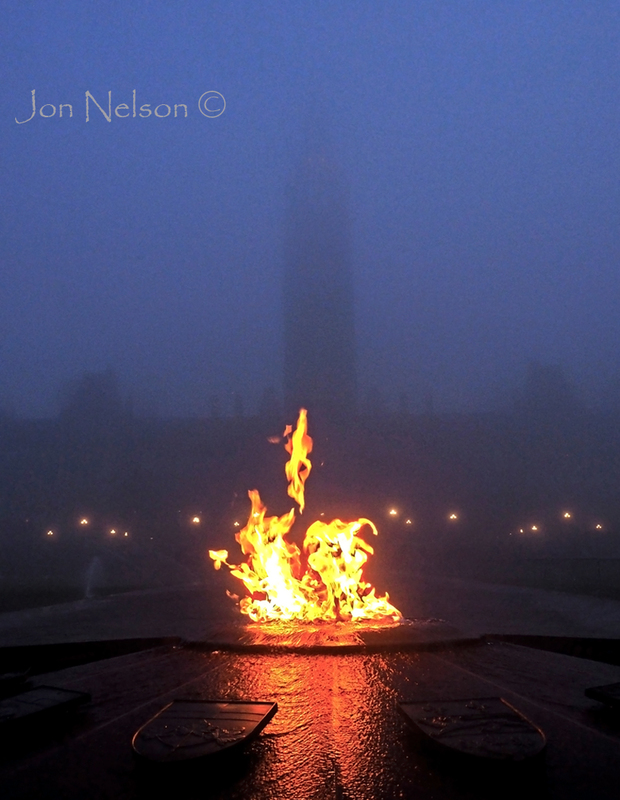 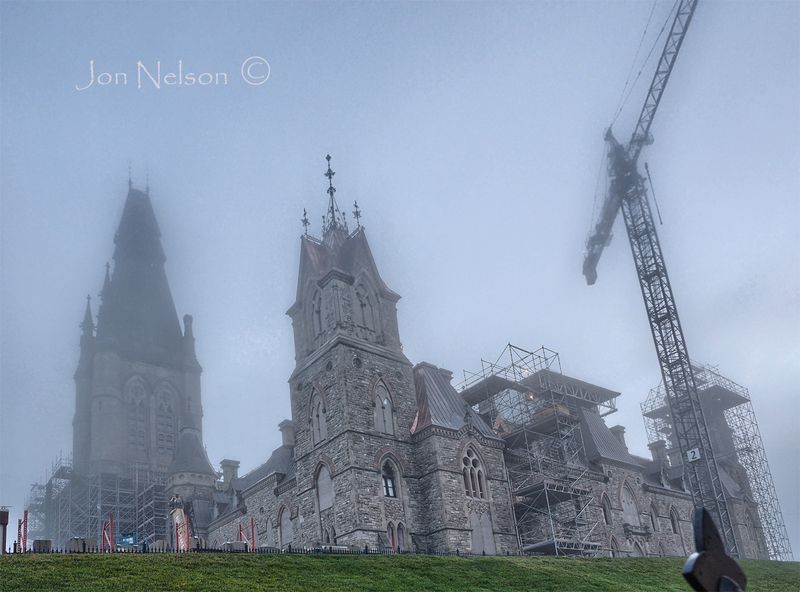 The Centennial Flame burns brightly in front of the Peace Tower on an extremely foggy morning. 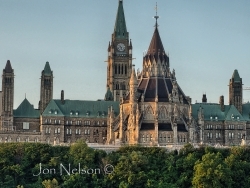 The West Block is under construction in preparation for Canada's 150th Anniversary in 2017. 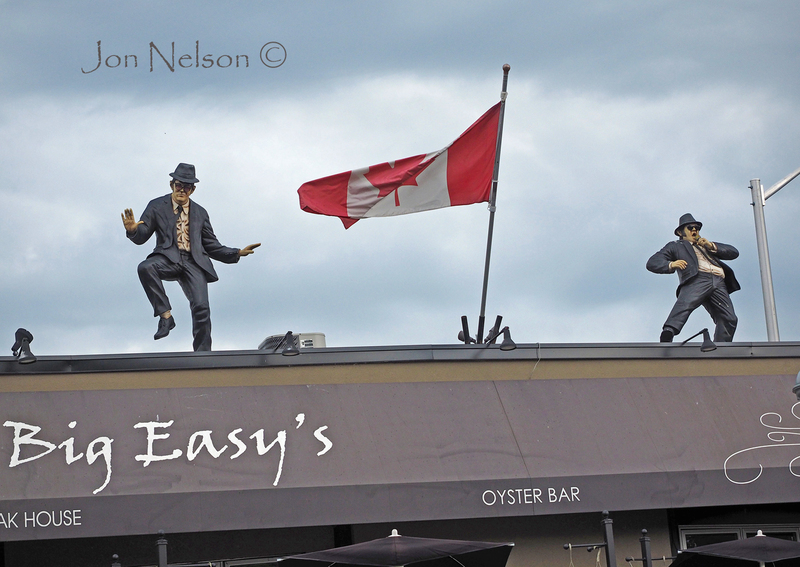 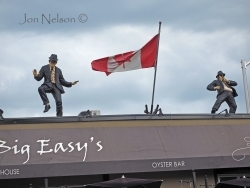 The Blues Brothers play non-stop on top of Big Easy's on Preston Street in Ottawa, Ontario. 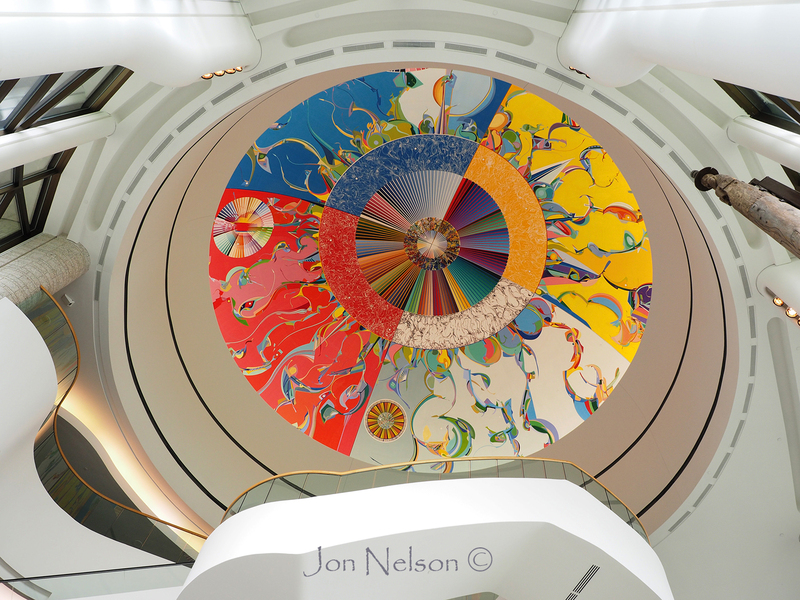 This Morning Star mural was painted on the ceiling of the Canadian Museum of History in Gatineau, Quebec by Alex Janvier. 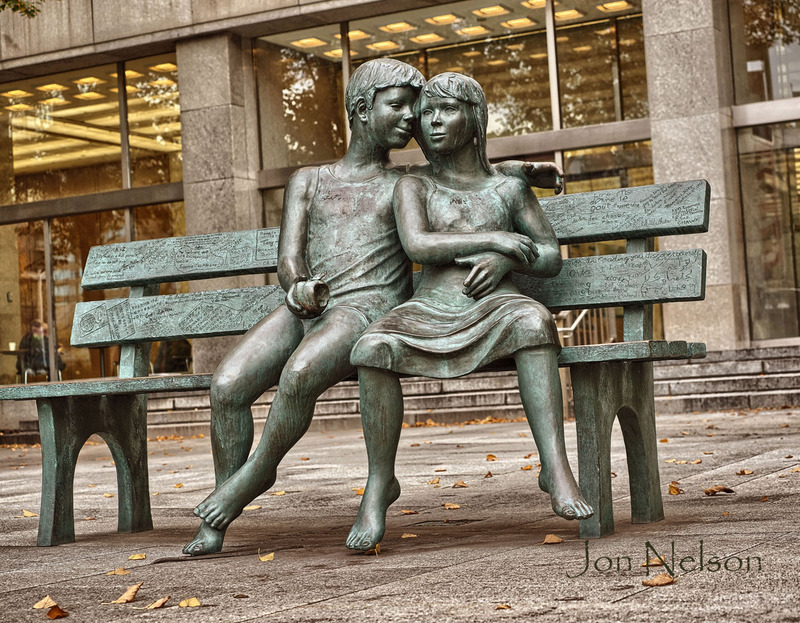 Lea Vivot created this sculpture that has about 100 handwritten messages about the joy and value of reading engraved on it. 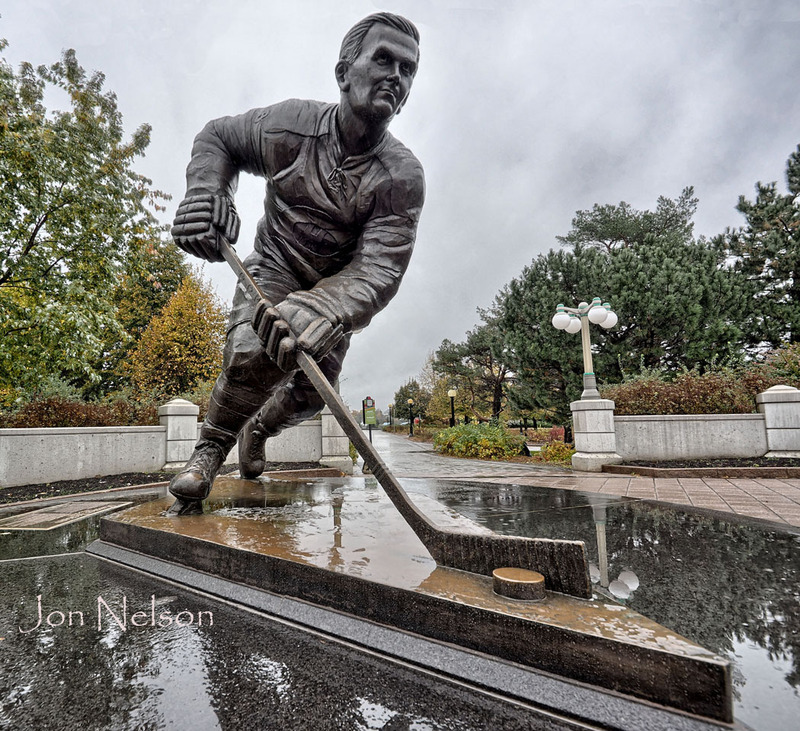 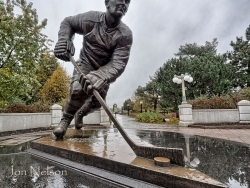 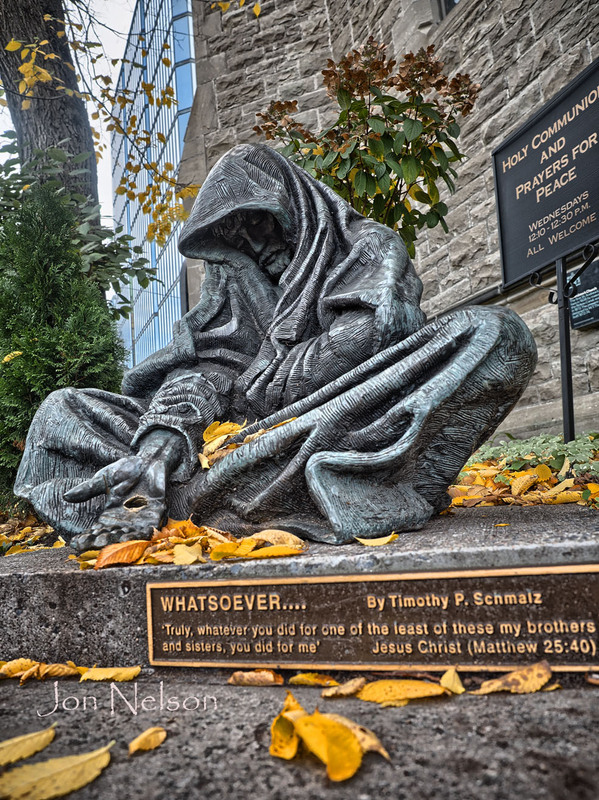 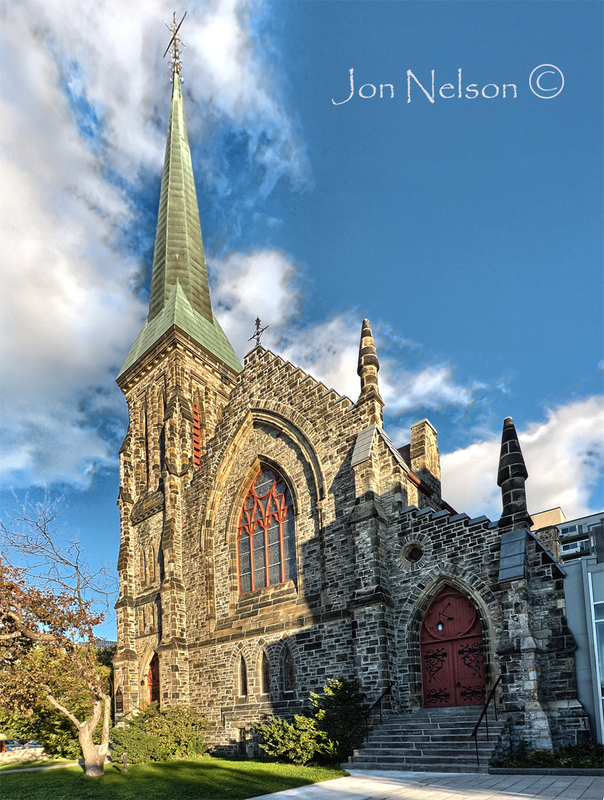 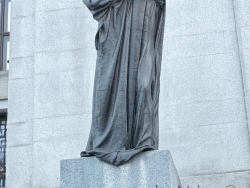 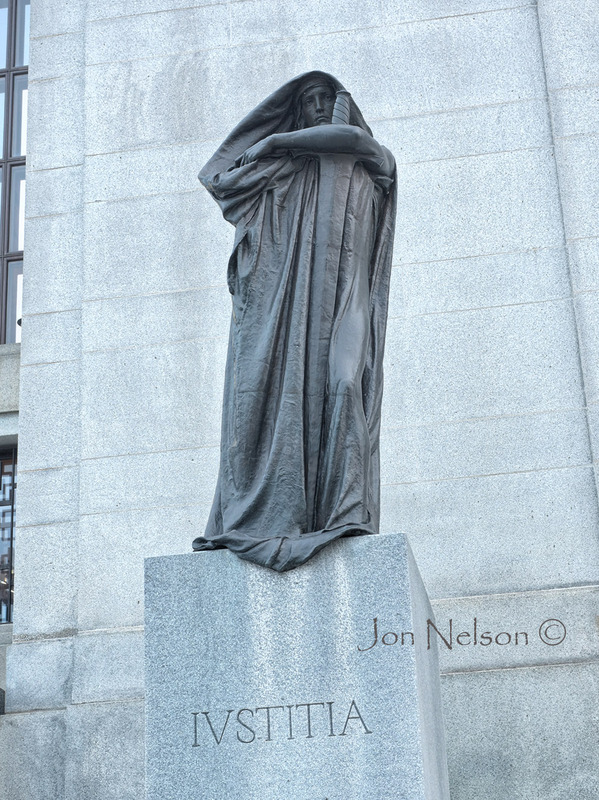 This statue, located outside of St. Andrews Church in Ottawa, is by local artist Tim Schmaltz. 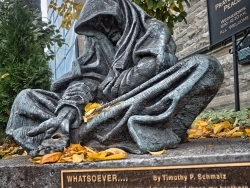 Known as "Jesus the homeless" it is also found in Kitchner and Waterloo Ontario as well as Toronto, Rome and London, England.